(BGO) – As of early 2017, Yen Dung district in Bac Giang province had 119 illegal workers in the Republic of Korea (RoK). The RoK government stopped receiving the district’s laborers to work in the country under contracts. Over the past year, with the efforts of the whole political system and the active response of people, Yen Dung district has had the RoK ban removed. Leader of the Labour, Invalids and Social Affairs Division of Yen Dung district exchanges information with Luu Van Tu (left). According to Truong Quang Hai, Vice Chairman of the People's Committee of Yen Dung district, as many workers from the district overstayed their visas to work illegally in the RoK and the Korean side requested the Ministry of Labour, Invalids and Social Affairs to issue a notice on stopping recruitment of local labourers, the Party committees, authorities and mass organisations have actively taken a series of measures, focusing on educating the sense of law observance among labourers and their relatives. In every commune and township, a team has been set up to persuade workers to return home on time, comprising prestigious people and close friends. Most families with people working in the RoK actively encouraged their relatives to comply with the provisions of the labour contract. For those who are working in the RoK (whether they have fled to work illegally or are due to have expired contracts), the team members have contacted them by phone or letter. "At first, many workers and their families lacked cooperation. But gradually, many people understood and voluntarily followed, "said Pham Tri Dung, deputy head of the district’s Labour, Invalids and Social Affairs Division. Initially, local efforts have yielded satisfactory results. Since March 2017, every month there have been laborers who have expired contracts or are residing illegally in the RoK voluntarily returning home. By March 2018, the number of the district’s workers with expired contracts who live illegally in the RoK is only 100 people, equivalent to 24 percent of the total Yen Dung people working here and 6 percent lower than the figure regulated by the Korean side. Based on that, the Korean side has opened the door again to Yen Dung. 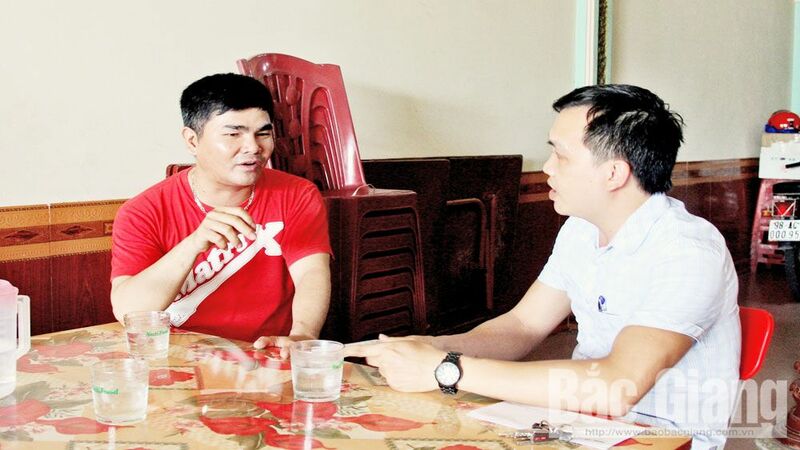 Luu Van Tu from Dong village, Canh Thuy commune, who just returned from the RoK, revealed: "At first, I also planned to leave the company and work illegally outside. But my wife and some officials of the local Party Committee and authorities persuaded that returning home on time is the best way for myself and the society. I find that with existing experience and quite good Korean language skills, it will be not too difficult for me to return to the RoK to work”. It can be affirmed that any locality does well communication and orientation work, workers there comply with the regulations. 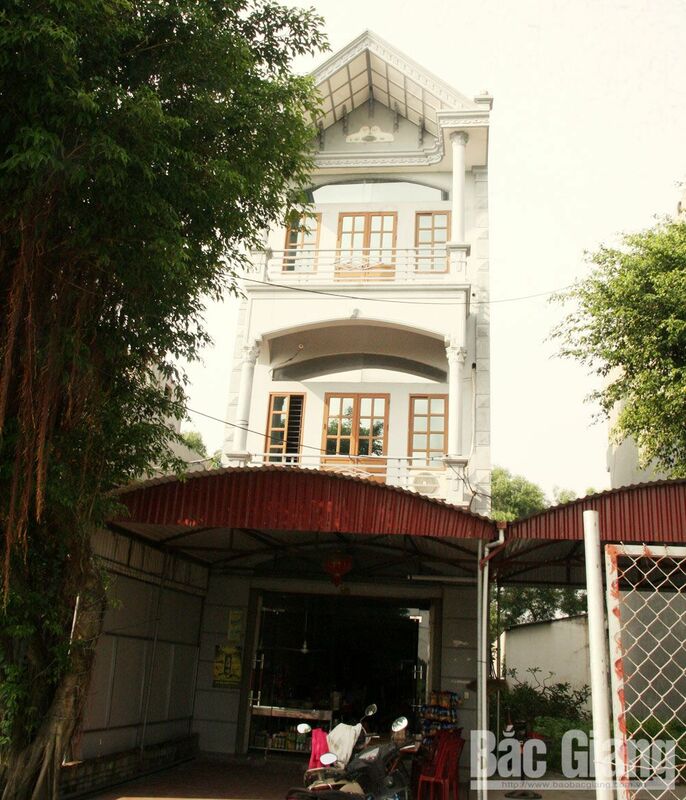 Typical examples are Tan Lieu, Xuan Phu and Tien Dung commune and Neo township. These localities reported few people running away to work illegally in the RoK. Most workers in the RoK earn high incomes. Thanks to labour export, Tu’s family has money to buy land and build a spacious house. Those who obeyed regulations have opportunities to work in the RoK again if they have a demand. Nearly 400 people from the district working in the country send more than 100 billion VND (4.3 million USD) to their families each year, contributing to the development of the local economy. This time, the Yen Dung district People's Committee is directing localities to encourage laborers who are due to have expired contracts in 2018 not to flee. In the first 6 months of this year, the district had 11 laborers with expired contracts, five of whom already returned home and the rest are completing procedures. For 13 cases whose contracts will expire from now to the year-end, the all-level Party committees, authorities and mass organizations are persuading them to follow regulations. Thus, since March 2018, Yen Dung district has always maintained a low rate of illegal guest workers, meeting the set target. The goal of the district is not to be prohibited from labor export as before.